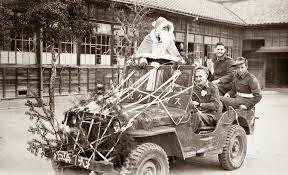 Christmas is a major holiday in the United States, but during World War II, 1941-1945 Christmas had a special meaning. Most families had a loved one serving in the military who could not be home for Christmas. Peace on Earth was no longer just a nice phrase found on Christmas cards, but the number one prayer of Americans everywhere. The Christmas season gave hope that while this year many were away, maybe next year the war would end and missing family members would return home. On the Home Front, Americans tried to celebrate Christmas. Families dealt with painful separations and lost loved ones which made the holiday agonizing. 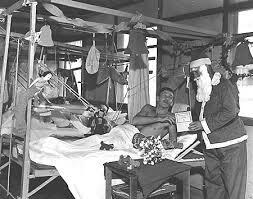 But those keeping the home front fires burning worked hard at making Christmas merry for the children. Before the war, America still recovered from the great depression when money and jobs were scarce. 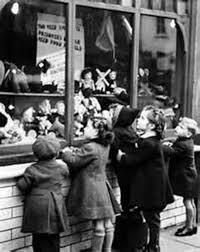 Shoppers had often been limited to window shopping, not having any extra money to purchase gifts. 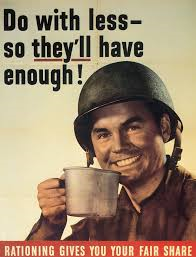 When the war began, war production went into high gear bringing good-paying jobs and additional income. But, there was little to buy as rationing left few goods on the shelves. Metal toys nearly disappeared as did automobiles, radios, bicycles, typewriters, and other goods. 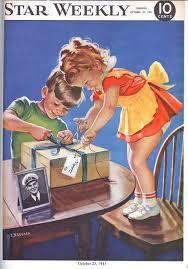 Wartime production priorities restricted the presents children could receive for Christmas. Santa Claus had to tell the kids to lower their expectations. Santa explained that a particular toy had too much steel in it, and that steel was needed for the war. 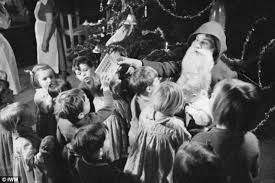 If a child seemed disappointed, Santa told the child that some children living in the countries where the war was fought would have no Christmas. With the shortage of men, Santa was often a woman. The song, White Christmas, debuted in 1942. 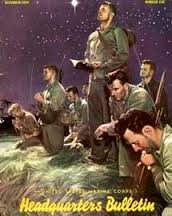 Sung by Bing Crosby the tune became an instant success as its peaceful feeling hit home with those on the home front and those on the battle front. 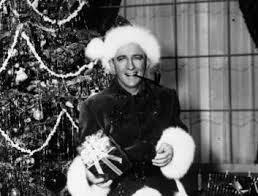 I’ll Be Home for Christmas debuted in 1943. The words touched the hearts of separated loved ones. Both songs are still classics sung at Christmas. For the soldiers, sailors and airmen overseas, military necessity and lack of accommodations forced them to have minimal celebrations. Many of the boys serving overseas got the blues. But presents from home cheered them. Do you have a Christmas story you’d like to share? Maybe a soldier or someone in your family shared his or her experience. 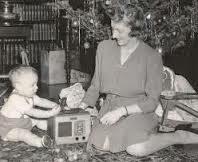 Maybe you have a story of how a child at home felt during those years at Christmas from 1941 to 1945. I’d love to hear your stories. Please leave a comment. 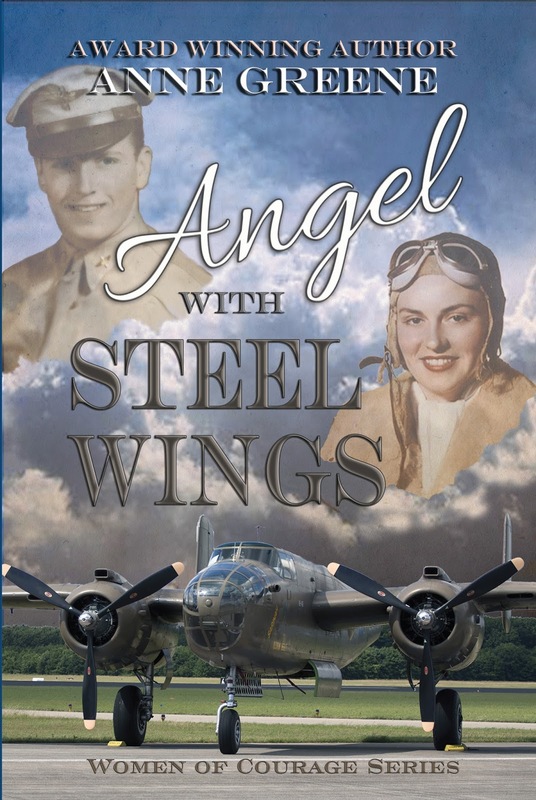 Leave a comment and one lucky winner will win my WWII book, Angel With Steel Wings. Buy any one or all seven of Anne’s book on http://www.Amazon.com. I only had an uncle who served during WWII but never talked about his experience. I only had an uncle as well. He was extremely young and on the navy. I never heard him mention a word about his service either. He joined right out of high school. Thanks, Kim, for visiting. Thank you for sharing this special post, Anne! It is incomparable trading software that simple trading techniques you have stabilize stream of profits daily. It is a newly launched automated software for binary option trading which deals with you to take a look at signals and remain logged in while trading. It provides different secret strategies that eventually helps traders without utilizing any complicated trading indicators or follow graphs. Enjoyed the post, Anne. Thank you for sharing the info on this momentum time in world history. My hubby's father served during WWII in the European theater. He wrote many letters, some at Christmastime. Many of his letters to my MIL I have. My uncles served in the army and navy. 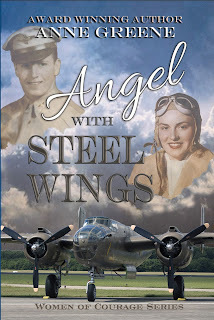 Love to win a copy of Angel With Steel Wings.